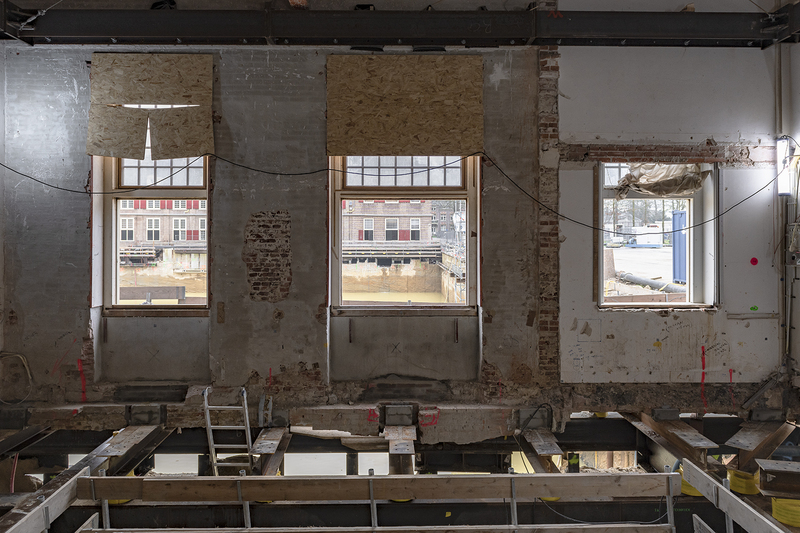 From February to September 2018, the exhibition space of the Amsterdam Architecture Centre has been turned into the ARCAM Model Agency. From May till July, the model of the new Amsterdam Airport Schiphol Terminal will be part of this project's parade. The exhibition doesn’t focus on large urban issues and challenges, but rather put small-scale projects to the spotlight that shape the city of Amsterdam. 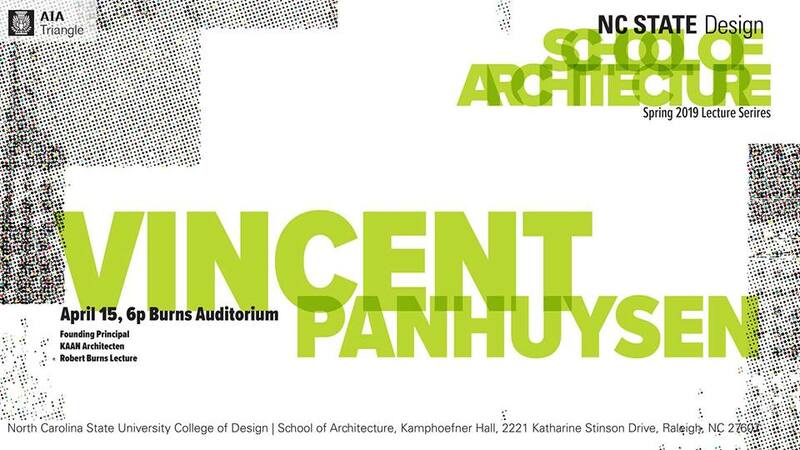 On Monday, April 15, Vincent Panhuysen, founding principal of KAAN Architecten, will give a lecture at the North Carolina State University College of Design in Raleigh. 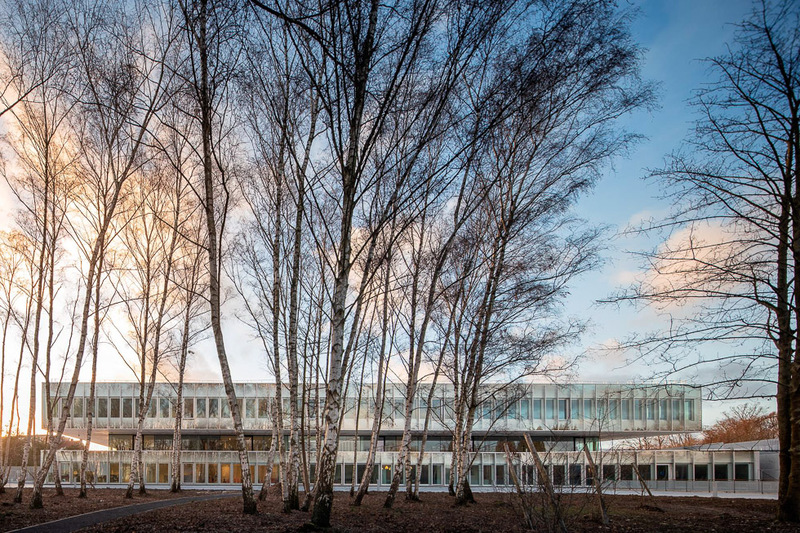 With the overarching theme of contextuality and dialogue with the surroundings, Panhuysen’s lecture will revisit some of the office’s most notable projects such as the Dutch Embassy in Mozambique, Supreme Court of The Netherlands, as well as the UTOPIA library and Crematorium Siesegem in Aalst, Belgium. The lecture is a part of the joint lecture series with AIA Triangle and will take place at Burns Auditorium at NCSU at 18.00. Find more information here. 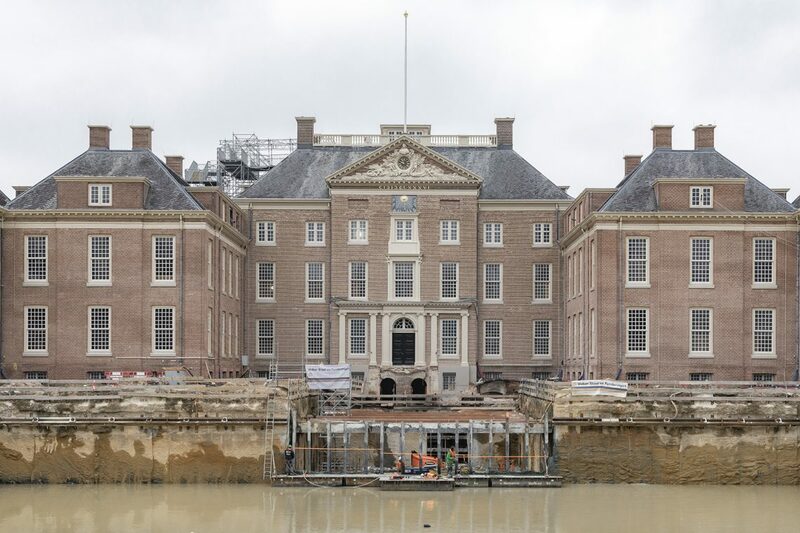 The renovation and reconstruction of Paleis Het Loo started over a year ago. 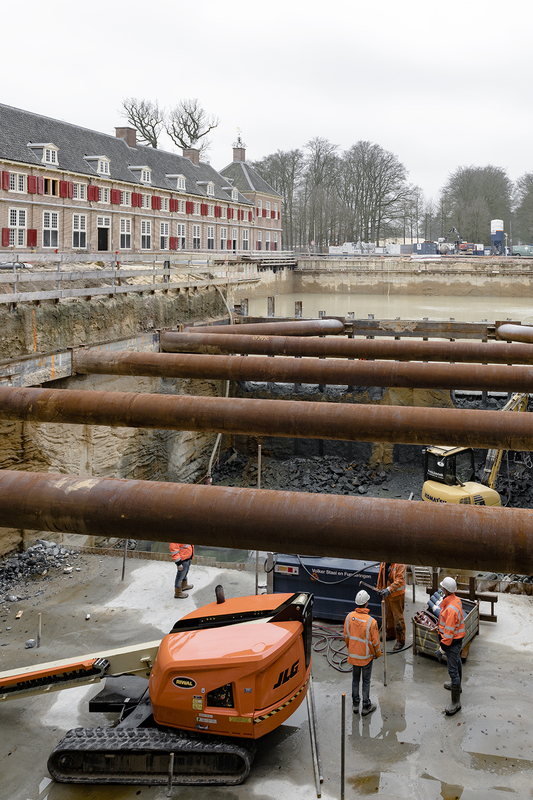 Within that time extensive groundwork began to make room for the new underground entrance of the museum. 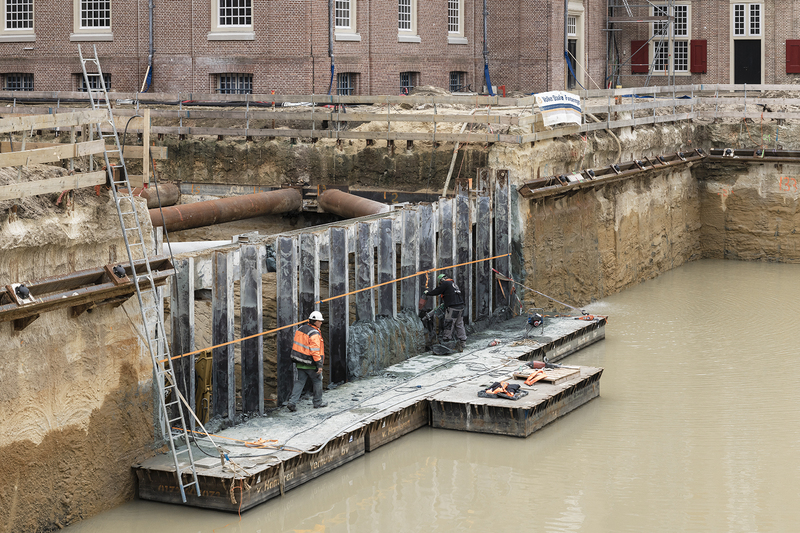 On his latest visit, photographer Sebastian van Damme captured the instances from the ongoing construction. 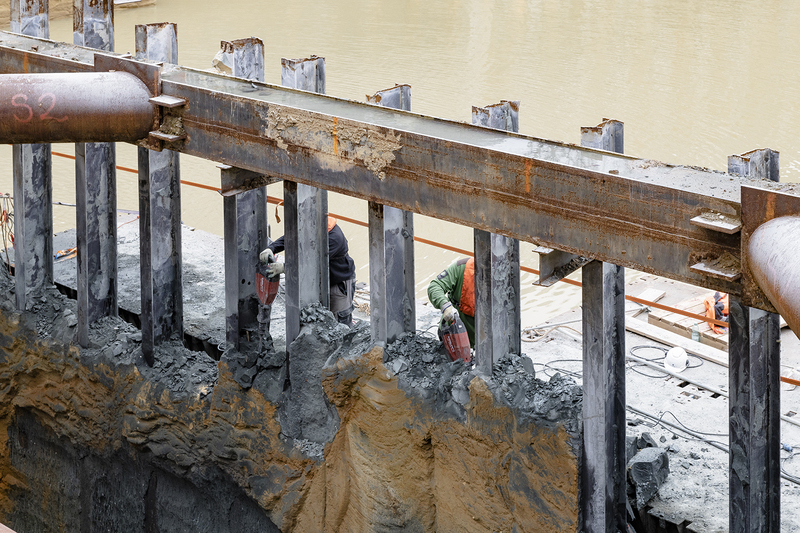 Continuing a series of advanced building techniques, the latest step of the expansion involved pouring and curing the concrete underwater. In this way, the pressure of water ensured that the concrete structure is without tears and leaks. Explore the full photo report below and click here to keep up with the ongoing video series following the construction progress. Photographs by Sebastian van Damme. Oscillating somewhere between art, engineering and entrepreneurship, architectural profession has always been difficult to categorise. Even within the institutions that provide architectural education, there is a systematic difference in opinion and, consequently, the focus of the curriculum. In her latest column for Fleur Groenendijk Foundation, Dikkie Scipio explains the workings of the architecture education system in The Netherlands and how in 2015 it brought about the BEP (Professional Traineeship approved by the Register of Architects). This marked a tectonic shift in acquiring the title of ‘the architect’, impacting the career trajectories of architecture school graduates. Promoting young architects has been a sole focus for Scipio, who is in her fifth year of serving as a board member of Fleur Groenendijk Foundation. In an interview earlier this year, she explained that aside from graduating with top marks, the success of every young architect relies heavily on being recognised and embraced by potential customers or employers. To that effect, with initiatives like De Meester, she seeks to highlight the work of recent graduates that shows social and contextual relevance, craftsmanship, and a clear vision. Read the entire column here (English, Dutch). The launch of the Parisian office marks another milestone in the growing international presence of KAAN Architecten which, alongside the Rotterdam headquarters, includes a second outpost opened in 2015 in São Paulo, Brazil. 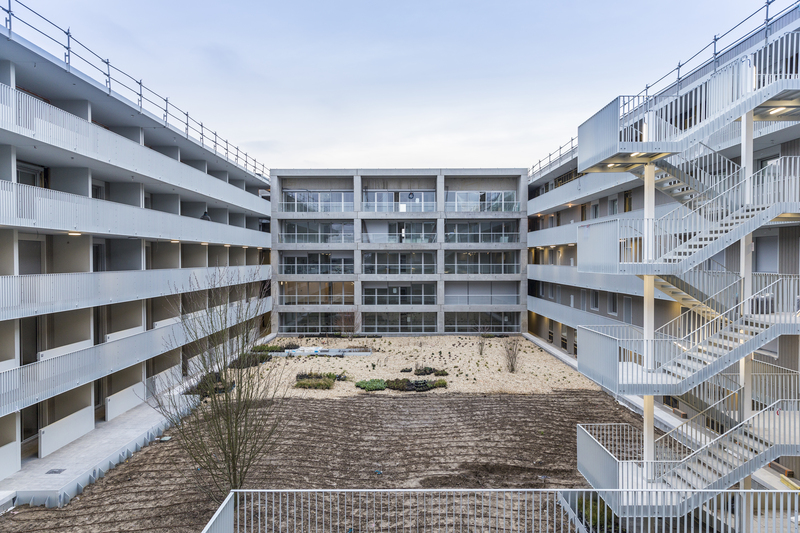 KAAN Architecten already has a firm footing in France after completing three projects in the country in recent years. 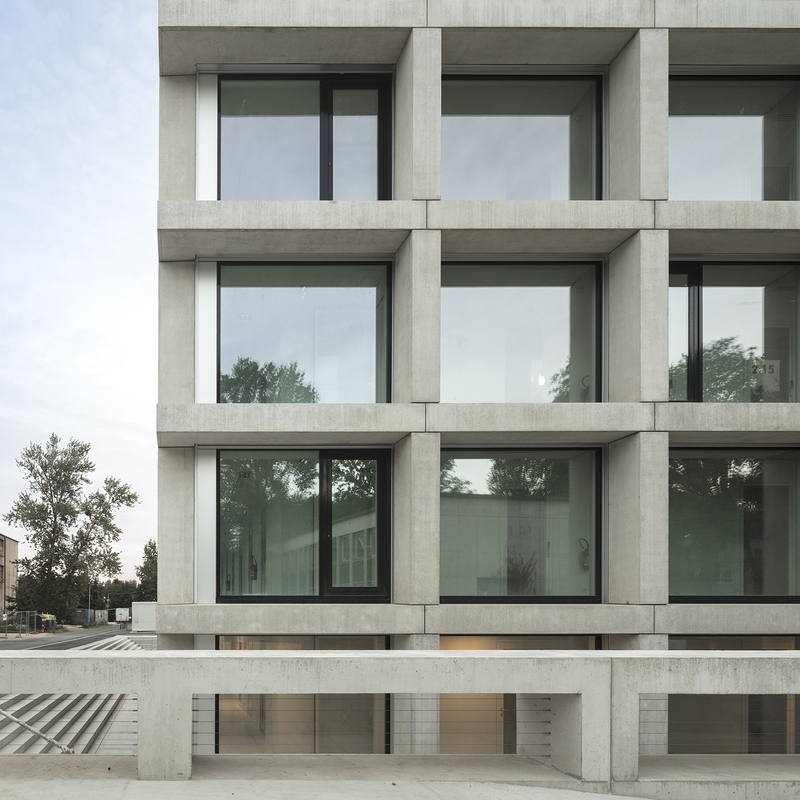 The firm’s French oeuvre includes residential projects in Saint-Jacques-de-la-Lande near Rennes and the Rives de la Haute Deûle area in Lille, as well as the highly lauded Institut des Sciences Moléculaires located within the Paris-Saclay Campus, in Orsay. The office has also participated in ambitious international studies such as the competition for the new Gare d’Austerlitz in Paris and the CHU hospital campus and research institute in Nantes. 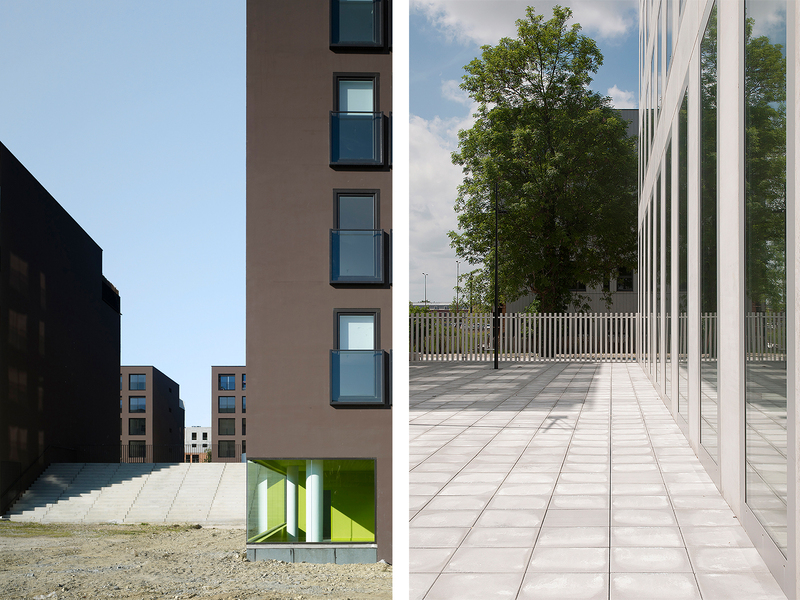 Several other projects in France are due for completion this year, like the Cité des Métiers et de l’Artisanat in Lille, designed in collaboration with Pranlas-Descours Architect & Associates. Additionally, two large mixed-use complexes are in the final phase of construction: one close to EuraTechnologies area in Lille, the other in the ZAC Bottière-Chénaie in Nantes. Meanwhile, an office complex in Aubervilliers, Paris, is currently in design stage. Once completed, it is set to revitalize the former logistics area at the borders of Paris. Led by architect Marylène Gallon, the new Parisian office will continue the multidisciplinary design approach set out by the Dutch headquarters. Furthermore, it will reinforce the presence of KAAN Architecten within France, developing relationships with both new and established clients and partners. Using research, innovation and technical expertise acquired in projects of varying scale, the firm intends to deliver creative, yet context-specific solutions fit for contemporary use by both public and private clients in France. ‘Stations as Nodes’ book is out now! Led and curated by the Chair of Complex Projects, Faculty of Architecture and the Built Environment TU Delft and the Amsterdam Institute for Advanced Metropolitan Solutions, ‘Stations as Nodes’ explores the role of stations in future metropolitan areas from both French and Dutch perspective. Summarizing the activities currently running at AMS Institute, Delft University of Technology and University of Paris-Est, the book presents Stations of the Future initiatives and the Integrated Mobility Challenges in Future Metropolitan Areas summer school, accompanied by a curated reportage of the Amsterdam Sloterdijk station area by Sebastian van Damme. The book also features contributions by invited experts on specific aspects and problems of conception, management and development of stations. 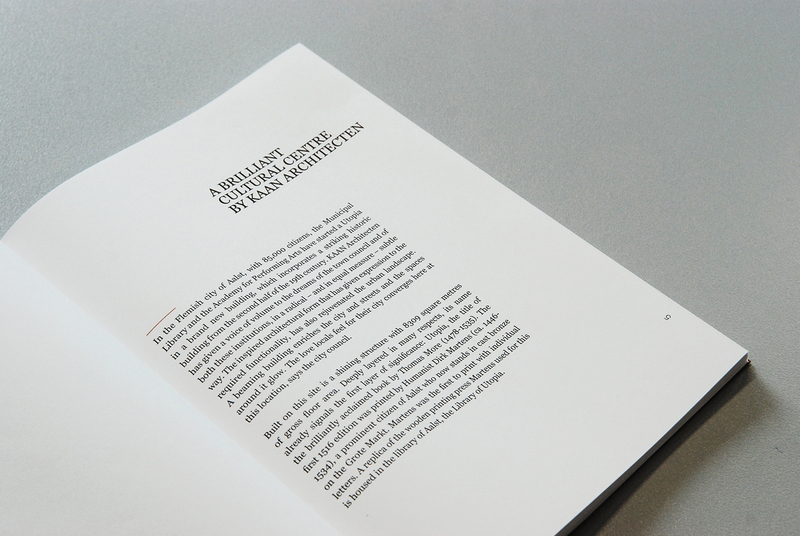 Included as a ‘project from practice’ is Kees Kaan’s essay about the Amsterdam Airport Schiphol Terminal designed by KAAN Architecten. 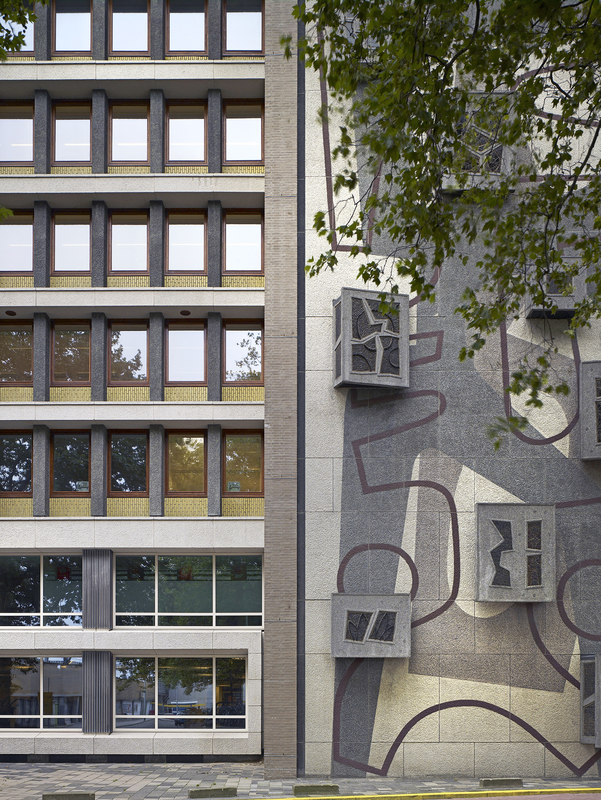 Other Dutch contributions include Benthem Crouwel Architects and UN Studio. Find more information about the book here, or visit BK Books to download the e-book copy. 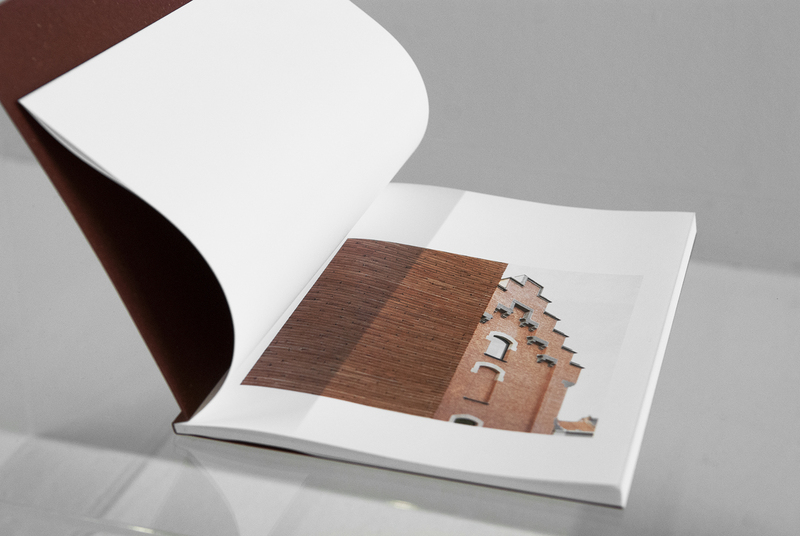 Following a sequence of awards and honours, KAAN Architecten published a “brick-coloured” book about Utopia Library and Academy for Performing Arts in Aalst capturing the intricacies of its design. 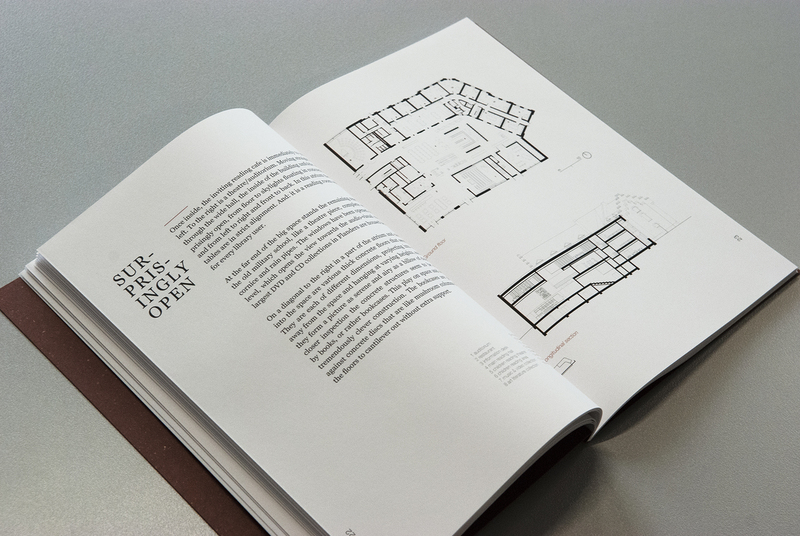 The book includes a text written by architecture critic Ruud Brouwers describing the history of this peculiar project and its relation to the city of Aalst, accompanied by a rich illustrative and photographic documentation. 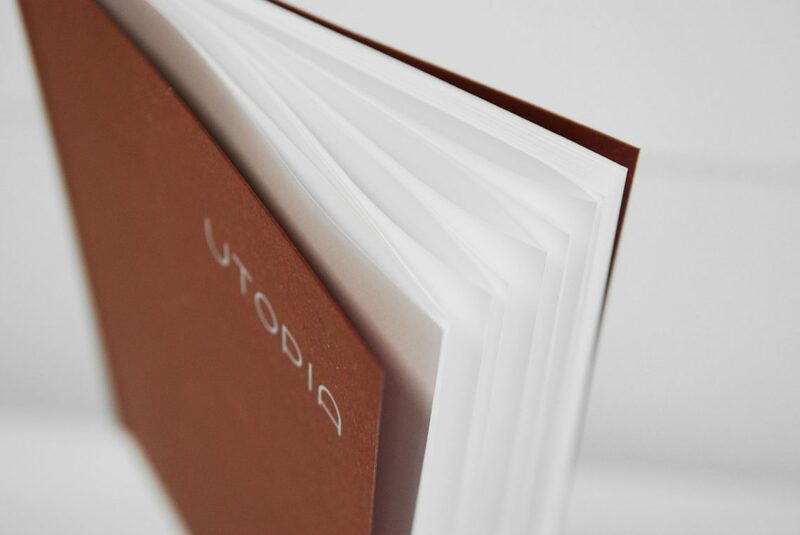 Utopia Library and Academy for Performing Arts has been slotted into the urban fabric of the city center creating three new squares alongside adjacent streets. The new building integrates into its design the ‘Pupillenschool’ building from 1880: its historic façades blending perfectly with the new structure through a dialogue of materials. The complex is enriched by the vibrancy of the two seemingly opposite programs it comprises – the library and the academy for performing arts. The windows offer unobstructed views through the building showcasing the bookshelves and the rehearsal spaces for the various performing arts. The complex is not ornamented but is itself an ornament for the city. Browse the full publication here. 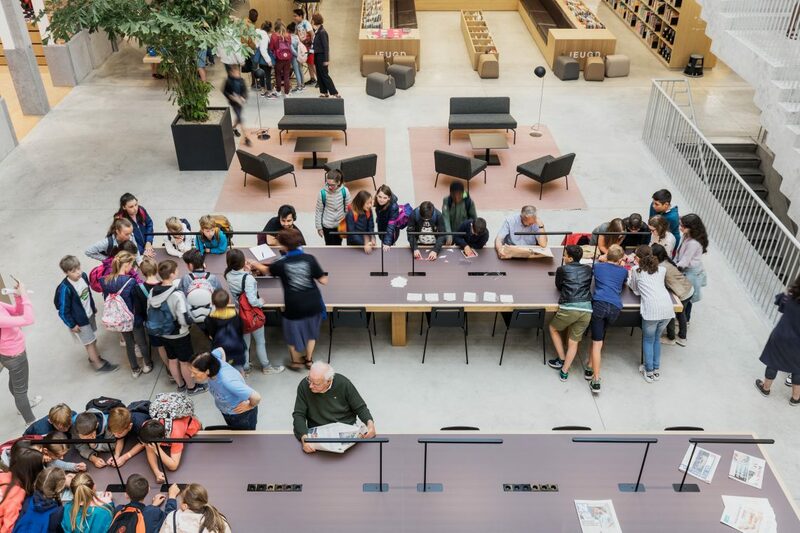 The project of Utopia Library and Academy for Performing Arts has won FRAME Awards 2019 people’s vote as Best Governmental Interior of the Year. 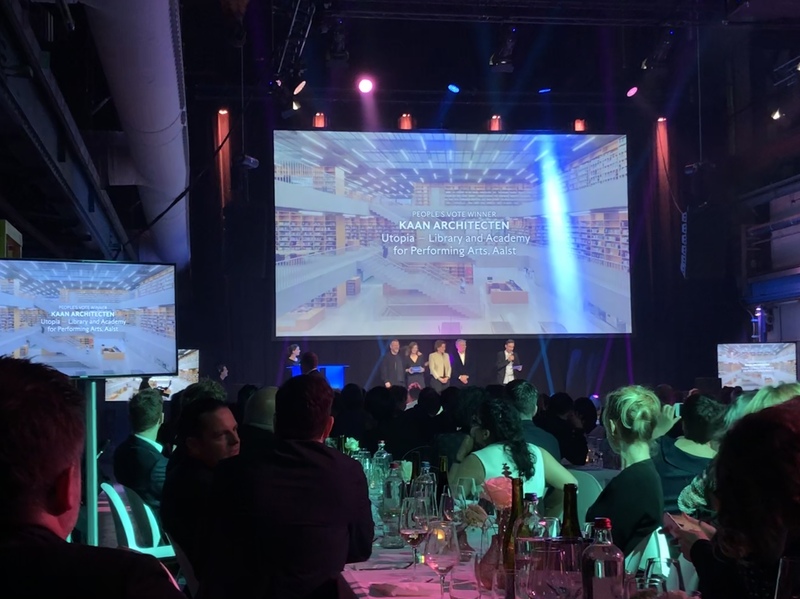 Vincent Panhuysen (KAAN Architecten founding partner) and Bas Barendse (project architect) attended the award ceremony in the name of the building team. 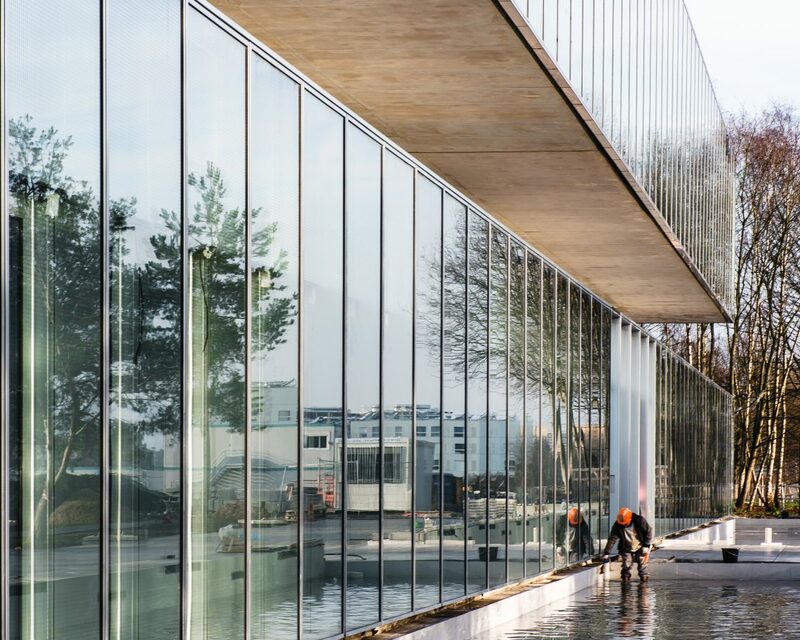 The project is the result of a PPP (Public-Private Partnership) based on a Design & Build contract, with Van Roey as main contractor and KAAN Architecten as leading architect, working in close collaboration. 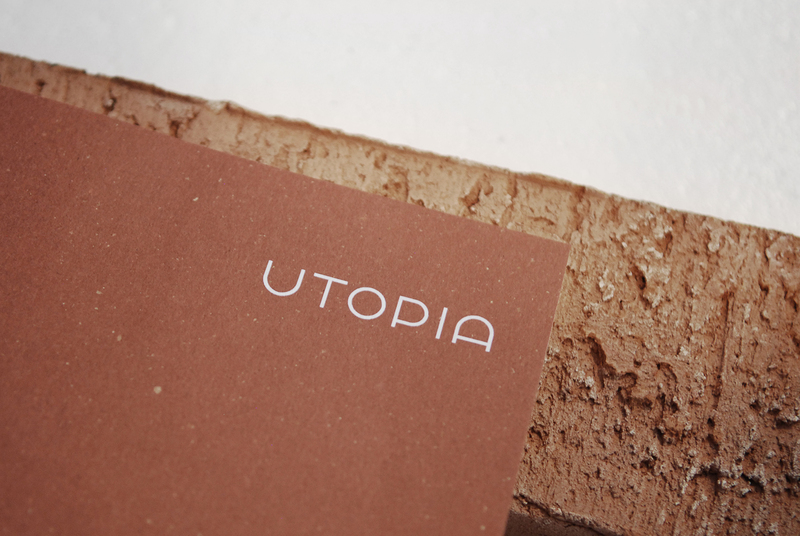 Utopia opened to the public in June 2018 and since then has been an important landmark for the Aalst community. 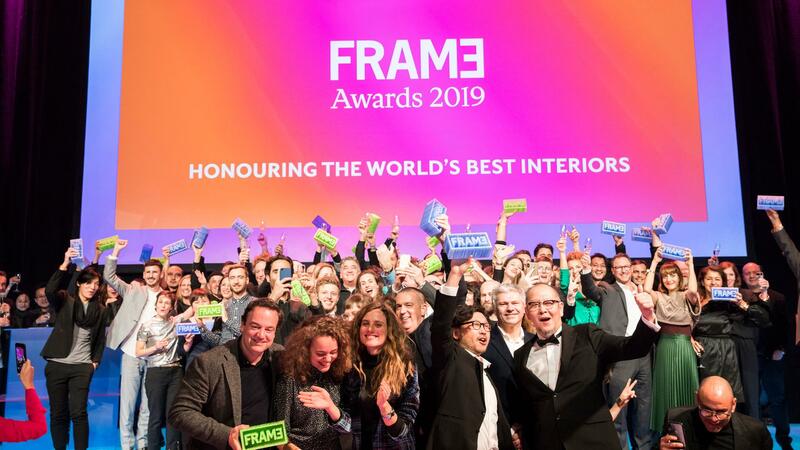 Here you can see the full list of winning projects of the Frame Awards 2019. 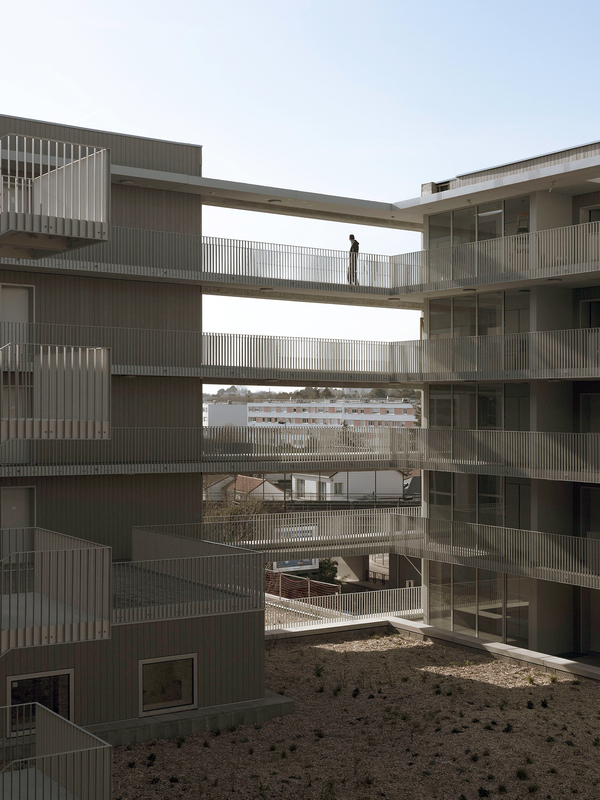 Three projects by KAAN Architecten are currently under construction in France. Due to great progress over the past year, all the buildings will be finished in the coming months. 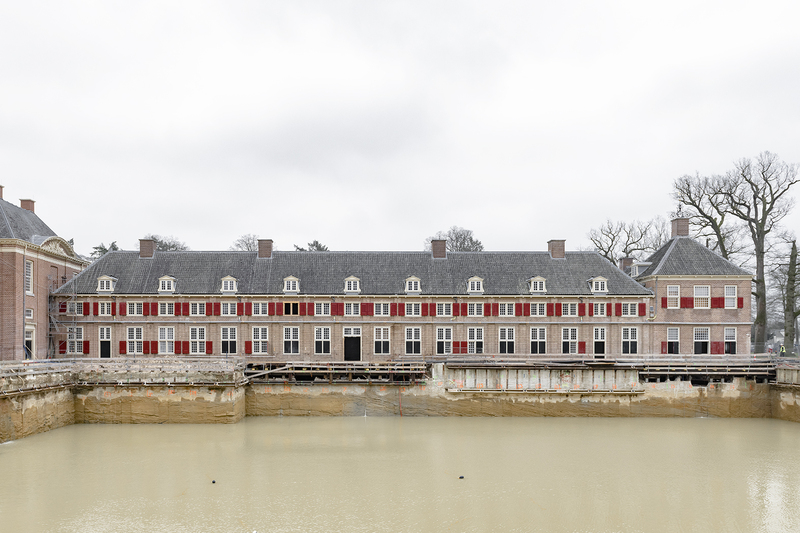 These new projects add to the existing French opus of KAAN Architecten, highlighted by last year’s Institut des Sciences Moléculaires d’Orsay. The monolithic Cité de Métiers et de l’Artisanat in Lille is a multi-use building featuring a different programme on each floor: public space on the ground floor, education and offices on the first and second floor respectively, while the auditorium is placed at the core of the building. The project was done in collaboration with local architects Pranlas-Descours architect & associates. 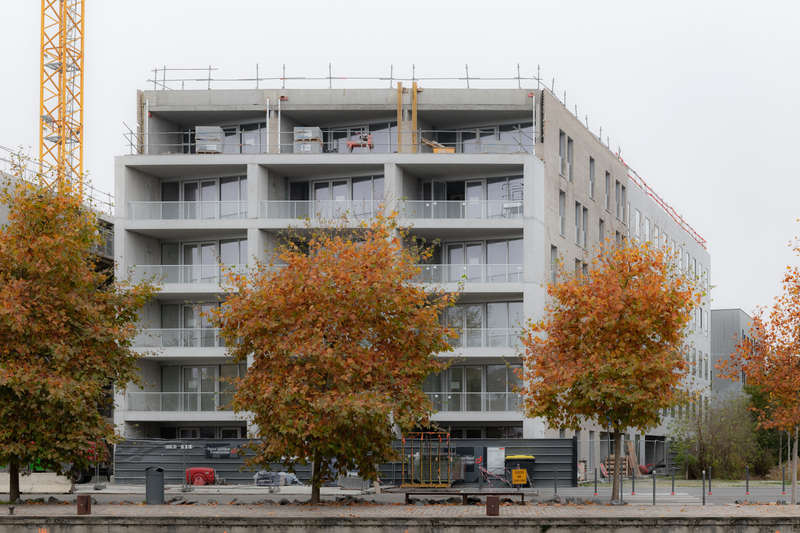 Additionally in Lille, a mixed use complex Ilot 13 is in its final stages. Located right along the canal of the Deûle river, the set of buildings will encompass residential units, offices and a group of commercial spaces located on the lower levels. Meanwhile in Nantes, Bottière-Chênaie project is set to revitalize a high-traffic area in the north-eastern part of the city, and bring residential, commercial and office buildings together into a comfortable whole. Photographs by: Sebastian van Damme (Cité de Métiers et de l’Artisanat, Ilot 13) and Dimitri Lamour (Bottière-Chênaie). Based on 165 applications from 36 countries, KAAN Architecten is among 10 leading international architecture firms selected to participate in the Babyn Yar Holocaust Memorial Centre competition in Kiev, Ukraine. Other participants moving further into the Stage 1 of the competition include Diller Scofidio + Renfro, Eisenman Architects, and Dorte Mandrup A/S. 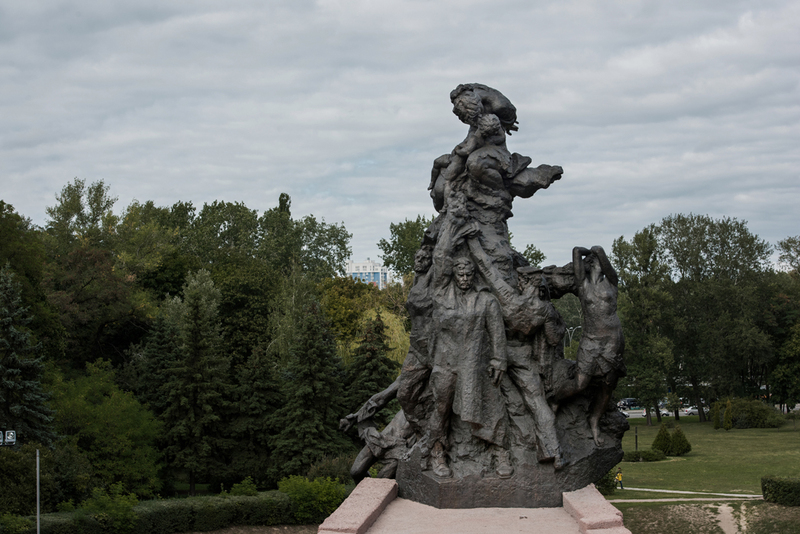 The Babyn Yar Holocaust Memorial Centre will be located in Kiev, near the site of the historical events in the Babyn Yar ravine. 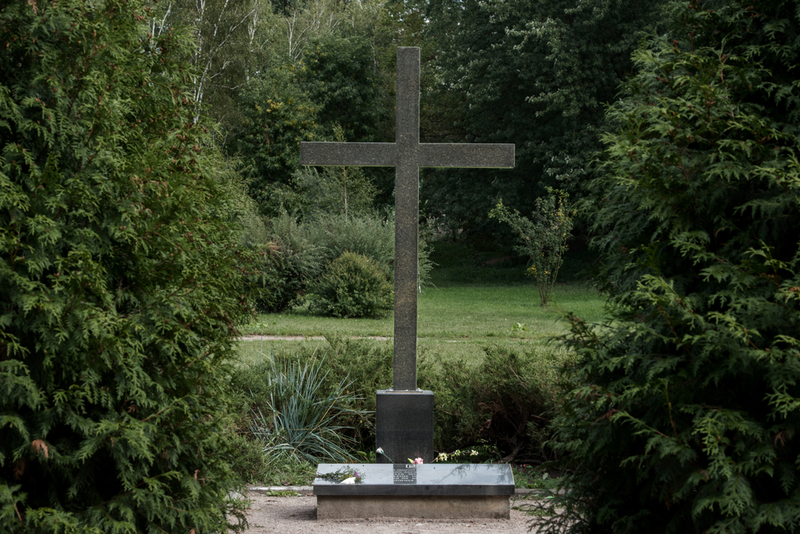 The new center aims to commemorate and reflect on the mass shootings that occurred in 1941, in addition to being a platform for research and public discourse. 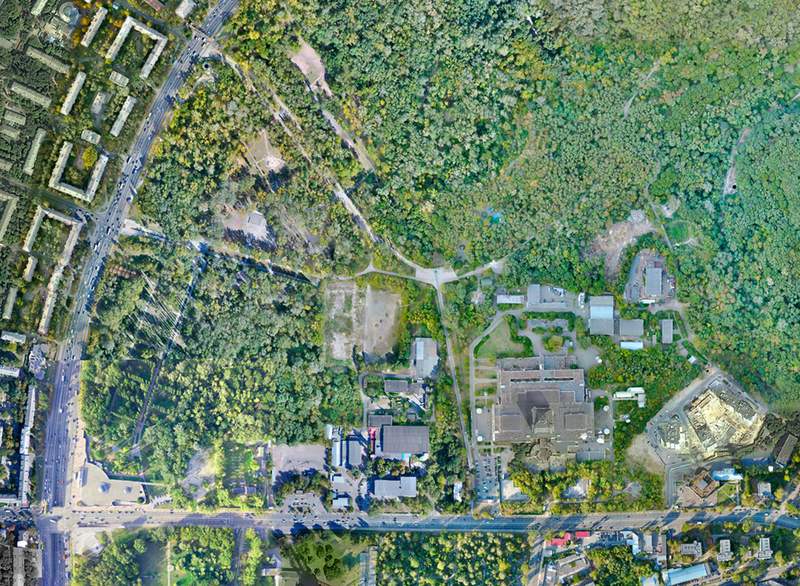 The project will include exhibition and public event spaces, centers for research and education as well as a memorial park. Following the preselection and Stage 1 results due in spring, only four to six participants will go on to Stage 2 with the final winner being announced at the end of July. For more information on the competition and the memorial visit the BYHMC website. 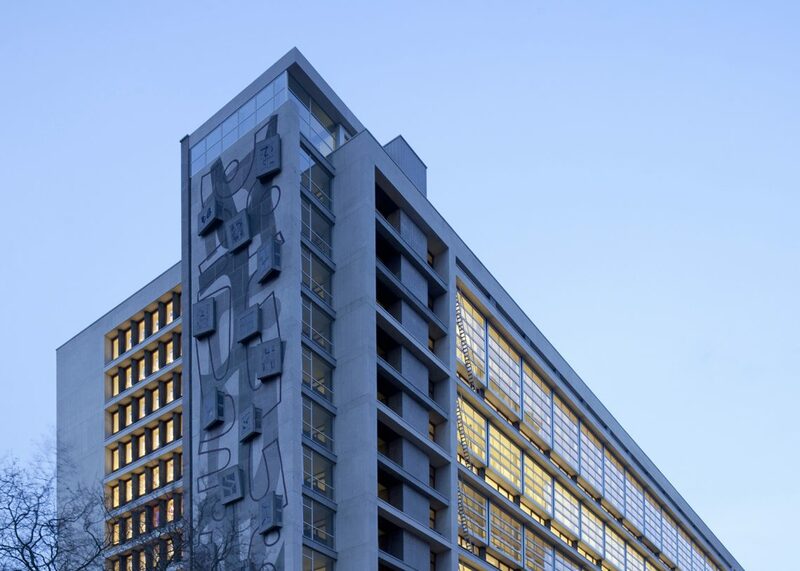 In a recent announcement by the Dutch Cultural Heritage Agency, Stationspostgebouw in Rotterdam – now commonly known as Central Post, has been categorized as a national monument. 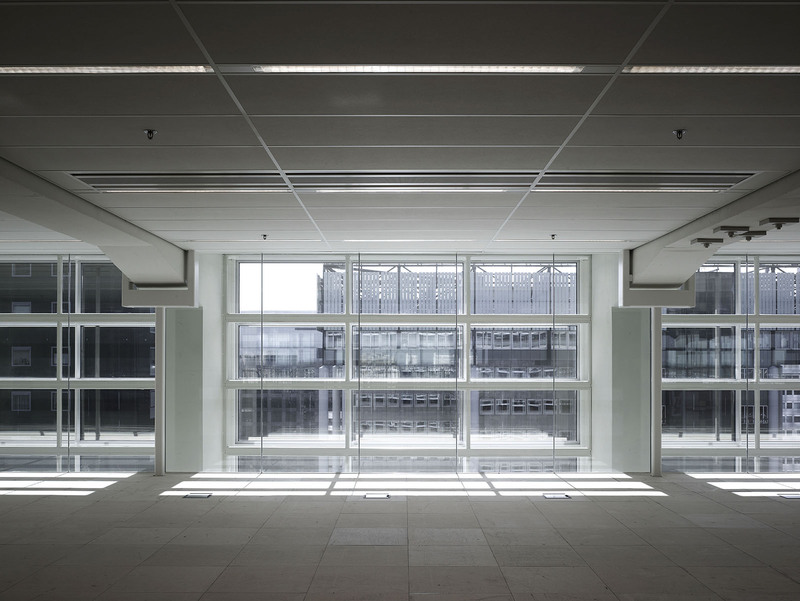 This title comes just in time to mark the tenth year since the building was transformed by KAAN Architecten into a contemporary and multifunctional office building. Built in the late fifties by architects Herman and Evert Kraaijvanger, Central Post stood 15 stories tall, making it one of the highest buildings in Rotterdam which was undergoing extensive reconstruction at the time. The building featured an extensive art collection as well as an original Louis van Roode art piece covering the entire height of the building. Decades later due to the modernization of the postal process, the building fell into disuse. 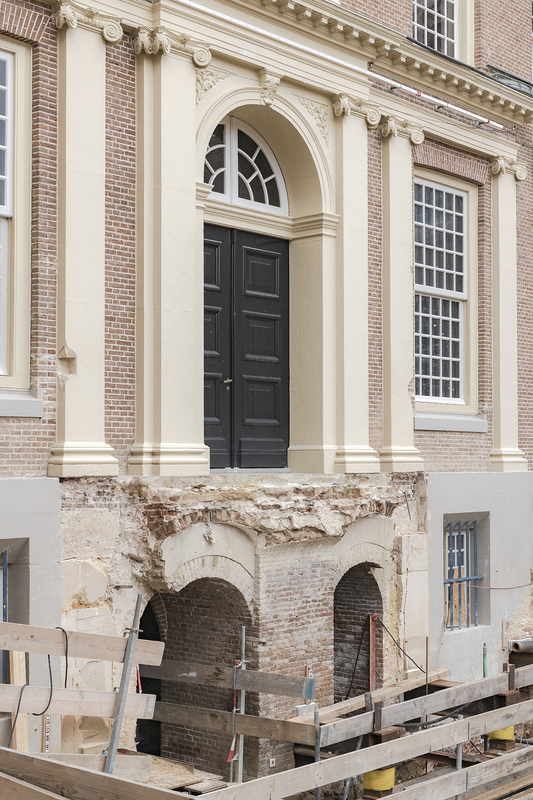 KAAN Architecten was commissioned for exterior restoration work and transformation of the interior which included insertion of hanging floors replacing the mail sorting machine. The result was a 90% increase in floor area and a listed building that achieved a Class A Energy Label. It is currently one of the five most sustainable buildings in the Netherlands. The existing cores on both sides of the building were updated. The long office floors were divided by a wall to reduce the size of rentable units and to create fire proofing compartments. A corporate penthouse is housed on the top floor, with a terrace overlooking the city, while the ground-floor uses and tenants add vibrancy to a completely new and contemporary Delftseplein. Meanwhile, the numerous integrated art pieces were kept in their original place, restored, or if possible returned. Explore the full project here. Photographs courtesy of Luuk Kramer (featured image) and Christian Richters.